And who, I ask again, can beat her? That’s the other side of this equation. Obama did it against the Clintons. Why couldn’t Palin do it against ... no one? Good questions! Time for a speculative post about some of the possible answers. As I look at the GOP field, what I see are two kinds of candidates up against Palin, who as I’ve said I see as a personal factional candidate. The first is what I think I’ll call Empty Suit coalition-style candidates. These candidates -- Tim Pawlenty, John Thune, and Mitt Romney -- draw their strength from the oddball field of Republican candidates in 2008, which featured an array of people who drew vetoes from some part of the GOP coalition. So for this group, being an Empty Suit is a feature, not a bug; the problem in 2008 and perhaps in 2012 for Mitt Romney is that he’s not empty enough, what with having a possibly problematic religion, a past that draws questions from social conservatives, and a past that draws questions from small-government conservatives. Among these candidates, the current boomlet is for Thune, although Dave Weigel believes finds him not empty enough too, because he supported TARP. Is he right? Well, Weigel is an awfully good reporter, and that’s the kind of information we need to analyze what’s going on in the invisible primary. My question about Thune would be: do GOP leaders in general like him, in which case they would tend to downplay TARP as an issue, which might well mean that it gets less traction if he’s attacked over it in Iowa and New Hampshire? Or is the interest in Thune really more of a Washingtonian, Capitol Hill thing, with GOP leaders out in the rest of the nation having little interest in him. If the latter, well, Thune wouldn’t be the first candidate who seems imposing from the United States Senate Press Gallery who turned out to have nothing going on elsewhere. In other words, while I do respect Weigel’s judgment on these sorts of things, I guess I see TARP more as a weapon to use in public than something like taxes, missile defense, guns, or abortion which disqualifies a candidate with the leaders of crucial GOP factions. Presumably, one of the things that happens as the process moves forward is that we find out whether or not that’s true -- we’ll see if GOP activists, at least, consider TARP a litmus test issue. And speaking of factions, and again I’m not a reporter, just a consumer of news, it sure seems to me that Jim DeMint is the current leader of the hard-core conservative faction of the Republican Party. He’s far more consistent with his endorsements than any other conservative leader, and unlike Palin he can claim that he’s actually been doing something effective for the cause. For the conservative/Tea Party faction, presumably the trick is to be as far to the right as possible without actually sounding crazy to those outside the faction (and thus perhaps drawing vetoes from more pragmatic conservatives, and possibly some GOP-aligned interest groups). At least as I read the reporting, DeMint seems to be pretty good at keeping to that line, and he certainly must be more reliable both for that crowd and for more pragmatic types than Palin. To know more, we need more solid reporting. Hey, reporters! We know activists hate TARP; is it a make or break issue for them? What about other important groups within the GOP? 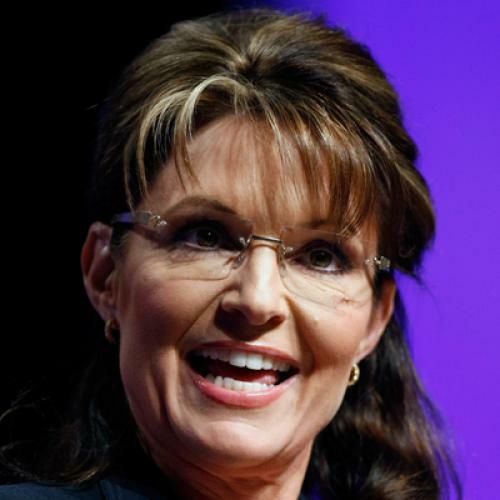 And, while of course Tea Partiers and conservatives generally are fond of the Sage of Wasilla, do leaders of those groups seem more likely to turn to her or to DeMint (or perhaps to another candidate) for leadership? How much good will did DeMint buy with his endorsements and support in primary season 2010?